Dan Chen has been a professional investor for almost 20 years, and a disciple of Warren Buffett even longer. In his search for permanent value in great companies, nothing catches Chen's eye like Visa (V:US), the world's largest electronic funds transfer company. Though Visa is massive (nearly 200B market cap), Chen argues the "800 pound gorilla" nature of the company combined with its 2008 IPO right during the financial crisis, along with huge opportunity for international growth in China create a perfect storm of a great investment opportunity. We sat down with Mr. Chen, the founder of Talguard Investments in LA, to discuss the business strength and long term growth opportunity in Visa. ﻿SumZero: What about Visa initially caught your attention as a value investor? Dan H Chen, Talguard Investments: I have been following Visa and the card payment industry for years. Visa reorganizing and becoming public in 2008 caught my eye. I do not invest in IPOs because they are usually a transfer of wealth to private shareholders. I waited patiently for the right moment to strike, and that moment came in 2010. Visa has many qualities that I like. It has long term operating history having started by Bank of America in 1958, it has growing and consistent cash flow, and it is the 800 pound gorilla in an oligopoly industry. Visa was able to grow successfully without any leverage prior to reconsolidating Visa Europe, and has many durable competitive advantages that I seek in a quality stock. This investment has produced an average return of over 20% a year for the past 6 years, and it will be a strong investment for years to come. SumZero: What is the market missing and why? Visa is a huge company closely followed by millions of investors; how could it possibly be undervalued? Dan H Chen, Talguard Investments: In 2010, America was in the midst of the deepest recession in history due to the financial crisis. The market crushed Visa’s stock because it is a financial services company; it was the proverbial “baby that got thrown out with the bath water”. Visa has continued to grow cash flow and grow its card network around in the world even during the recession. By contrast, most companies took a big hit on cash flow and lost some business during that period. Most investors do not do the diligence I do for my investments. The average mutual fund manager holds close to three hundred stocks with the average stock position held for less than a month. That is a turnover rate of over 1,000% a year. In other words, they buy and sell so much with so many stocks, they could not possibly know the level of detail required to make a concentrated investment even in a famous company like Visa. The market has missed the China catalyst as follows: over a decade ago Chinese citizens could only get a Visa debit card. Then the Chinese government allowed Visa to issue joint credit cards with China UnionPay. In 2014, the World Trade Organization ruled China must allow foreign payment card companies to process card transactions of joint cards in China. At the beginning of June 2016, Visa received the initial application to open its own payment center and network in China. It will take Visa one to three years to get this new network started. Eventually, I can see Visa issuing their own stand alone cards which would be the end game. These decades long catalysts are precisely I seek and what the short term minded market does not care as much about. SumZero: Is Visa still attractive to buy at today’s prices? Dan H Chen, Talguard Investments: The Market is still missing new catalysts and it underestimates the known catalysts that will drive Visa’s growth. The stock is more expensive than 2010, however, Visa has new catalysts that did not exist in 2010. SumZero: What makes Visa any better than Mastercard or other cards? It seems like there is almost no discernible difference to consumers. How does Visa maintain margins? Where does the real competitive advantage lie? Most people cannot tell you any difference between Visa and MasterCard, but Visa has large and subtle differences that the market misses. Visa has much bigger scale of volume and transactions than MasterCard. Visa has a 70% market share of the U.S. Debit Card market. Visa Checkout is much larger than MasterCard’s MasterPass on a customer basis. On a more subtle scale, Visa has a 12 month exclusivity agreement with PayPal to place Visa side-by-side for their customers’ checkout pages. Visa’s much larger size gives it more weight in negotiations. Visa is the only credit card allowed at Costco stores; that is over $70 billion in sales that is exclusively for Visa. Visa has a greater percentage of sales in the U.S. than MasterCard and that means Visa has a tremendous opportunity in the future for international growth. Visa processes more volume than MasterCard, AmEx, and Discover combined. Lastly, MasterCard has been trying to increase its domestic business with a concerted effort, and they have not been able to dent Visa’s market share. SumZero: Does Visa have to worry much about competition in the wave of new payment systems such as Venmo, Android/Apple Pay, Bitcoin, etc.? Dan H Chen, Talguard Investments: Visa has such a large scale that no one else can match for payment systems. Android and Apple Pay both use Visa’s card network so Visa has the upper hand. Venmo is owned by Paypal and makes no money. The recent agreement by Paypal and Visa shows that Paypal capitulated to Visa. Bitcoin is unregulated and highly risky for the mainstream. Look what happened to the largest Bitcoin exchange, Mt. Gox in Japan. In one hack, cyber thieves stole over 90% of the bitcoins on that exchange. The Bitcoin owners have no recourse. Visa has no such problems. Bitcoins themselves are not going to be mainstream for payments. Also, with respect to technological innovation, Visa is not sitting still. Visa Checkout is now accepted by millions of merchants, and the Visa invested in Square. Dan H Chen, Talguard Investments: The three largest risks are disintermediation, litigation, and regulations. I addressed disintermediation above. Litigation and regulation often go hand-in-hand. American retailers have sued Visa and its brethren over interchange fees. Visa has won significant cases in the past and it has already settled debit card fees. There is one outstanding lawsuit which has been ongoing for a decade. At some point it will be settled. I see regulations as both a risk and a competitive advantage for Visa. It has successfully worked with hundreds of government regulatory entities across the world. A startup will have to invest tremendous capital just to work with regulators worldwide if they want to set up a global payment network like Visa. SumZero: Is this thesis representative of the Dan Chen investing style? Dan H Chen, Talguard Investments: Yes. Visa is a perfect example of investment philosophy. My Visa investment reflects my patience and ability to identify long term catalysts purchased at a reasonable price. I skipped investing in Visa’s IPO because I avoid IPOs. I waited patiently for two years and stuck in 2010 when Visa’s valuation was depressed since it is a financial services stock. Visa continued to grow cash flow even during the Great Recession and it has many other qualities I like. This investment has produced a multi-year compounding return since 2010. I see value in individual stocks based on my three step approach to investing. I seek great companies with identifiable durable advantages and I seek to invest with a margin of safety. My process is scalable and repeatable even in any given market. Dan H Chen, Talguard Investments: I invest in stocks like someone would when they purchase an investment property. I look for a competitive advantage for the Company similar to a real estate investor would look for a property with a great location and great demographics. I read as much of the annual history and company reports as I can. I evaluate financials for at least 10 years in order to assign a value just like a real estate investor evaluating the rent rolls and historical expenses for a property. I will go see a company’s products or services for myself and speak with various stakeholders in an industry just like a real estate investor would drive around a property’s neighborhood. I will read news articles and other relevant information just like a real estate investor would read local demographic reports and local news. Even when I find the right company I still do not want to overpay for it just like a real estate investor does not want to overpay for a property. They will look at a return on investment metric called “cap rate” based on net cash flow relative to cost of the property. I will do the same with return on equity and return on investments. My approach has been very consistent ever since the days of the Internet Bubble in 2000. Back then it was all about growing revenues and customers. Getting “eye-balls”. It did not matter if you made money or not. Many companies are valued like that today. To me consistent and growing cash flow is king. Always has been and always will be. Cash flow is the great equalizer. It does not matter if you sell soap, spaceships, or hamburgers. You need to make more money than spend. I seek companies with long term positive and growing cash flow. This helps me in my own ultimate goal for my fund: I want to survive the one year that no one else does. 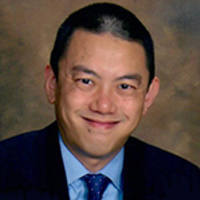 Dan H Chen, Talguard Investments: I have been fortunate to have worked in both the “Sell Side” as an investment banker and on the “Buy Side” in as an investment professional in private equity, debt, and restructuring. Many equity managers have only invested in equity. I have evaluated and invested in high yield bonds, term loans, and equity. This gives me a comprehensive and unique perspective of the entire capital structure. I can spot pitfalls that equity-only investors may not see. For example, a company with multiple debt tranches (different loans outstanding) often has assets placed in different entities which not be good for the equity investor. You need to know the nuisances as an equity investor to fully understand the complete picture of a Company’s health. Dan H Chen, Talguard Investments: Read and read some more. I recommend reading widely beyond just company annual reports. I enjoy reading non-fiction, relevant fiction, and history. History does not exactly repeat itself but it does rhyme most of the time. This has given me a more comprehensive and holistic approach to investing. I liken myself as a mix between a detective and an investigative journalist. I am Sherlock Holmes using the power of deductive reasoning and I am Anderson Cooper asking the most important questions that is on viewer’s minds in my pursuit to find and understand great companies and to invest with a margin of safety. I seek permanent value for my investors of the Talguard Value Fund LP.